A drug-user who used cannabis to deal with depression and anxiety was caught with hundreds of pounds of the class B drug during a police raid. 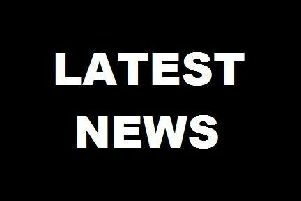 Chesterfield magistrates’ court heard how John William Wayne, 39, of Lumsdale Crescent, Matlock, admitted possessing the cannabis after police raided a property at Mettesford, in Matlock, and discovered his drugs in a safe and in his daughter’s fridge. Prosecuting solicitor Becky Allsop said: “A search warrant for drugs was carried out on June 28 at his an address in Mettesford. Wayne pleaded guilty to possessing 47 grammes of cannabis with an estimated street value of between £395 to £450. The father-of-four told police the drugs were his and he had borrowed his daughter’s drinks fridge at her mother’s home to store beer and cannabis and he later forgot to take the drugs out. Defence solicitor John Last said the raid happened at the home of the mother of Wayne’s children but he does not live at the property. Mr Last added: “The position is that for many years he has had problems with anxiety and depression since he was 14-years-old and he is still awaiting an assessment for anxiety and depression which will also involve autism and ADHD. Mr Last explained that jobless Wayne had borrowed a large sum of money from the Department for Work and Pensions which allowed him to buy cannabis. Wayne has since taken steps to address his drug use and has been in touch with a drug recovery partnership and he has started to use a cannabis oil as opposed to illegal drugs. Magistrates sentenced Wayne on November 20 to a 12 month conditional discharge but warned that if he commits a further offence he will be re-sentenced. Wayne was also ordered to pay £85 costs and a £30 victim surcharge.